They are mesmerized by science. 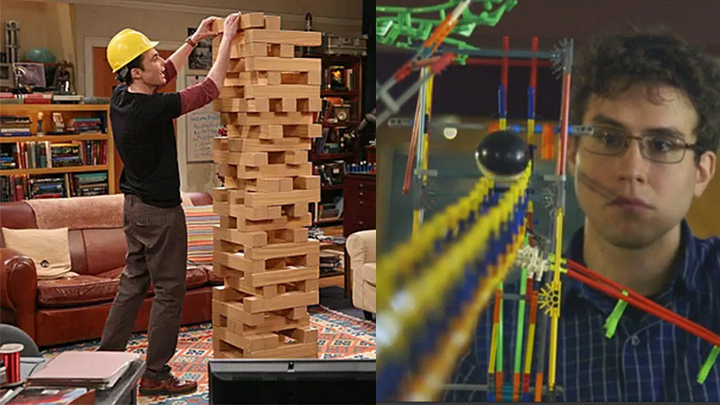 Sheldon's got his eye on a giant game of Jenga, and Steve's entranced by a structure he built. Get these smart cookies in front of anything science-related and they go berzerk, which is a big reason why we love 'em!